in many cultures it is also consumed at elevated social events, such as afternoon tea and at the tea party. Tea ceremonies have arisen in different cultures, such as the Chinese and Japanese tea ceremonies, each of which employs traditional techniques and ritualized protocol of brewing and serving tea for enjoyment in a refined setting. 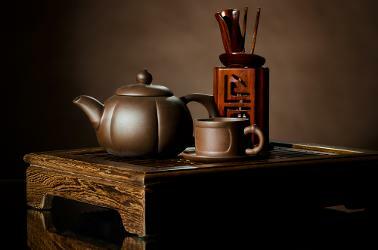 One form of Chinese tea ceremony is the Gongfu tea ceremony, which typically uses small Yixing clay pots and oolong tea. 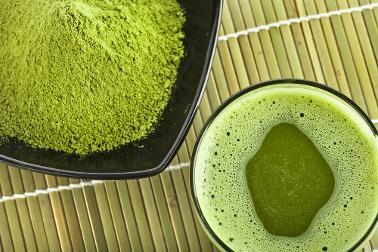 The Japanese tea ceremony, also called the Way of Tea, is a Japanese cultural activity involving the ceremonial preparation and presentation of matcha, powdered green tea. In japanese it is called chanoyu or sadō, chadō .The manner in which it is performed, or the art of its performance, is called otemae. Zen Buddhism was a primary influence in the development of the tea ceremony. Much less commonly, it uses leaf tea, primarily Sencha. Tea gatherings are classified as chakai or chaji. A chakai is a relatively simple course of hospitality that includes confections, thin tea usucha, and perhaps a light meal. A chaji is a much more formal gathering, usually including a full-course kaiseki meal followed by confections, thick tea koicha, and thin tea. A chaji can last up to four hours. Ireland has, for a long time, been one of the biggest per-capita consumers of tea in the world. The national average is four cups per person per day, with many people drinking six cups or more. Tea in Ireland is usually taken with milk and/or sugar and is slightly spicier and stronger than the traditional English Blend. The two main brands of tea sold in Ireland are Lyons and Barry’s. Tea is prevalent in most cultures in the Middle East. 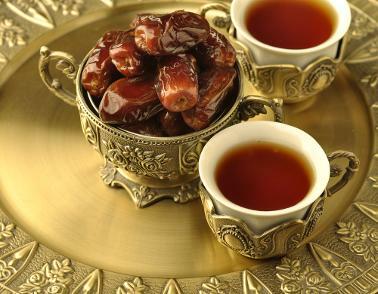 In Arab culture, tea is a focal point for social gatherings. The Irish love of tea is perhaps best illustrated by the stereotypical housekeeper, Mrs Doyle in the popular sitcom Father Ted. In Pakistan, both black and green teas are popular and are known locally as sabz chai and Kawah, respectively. The popular green tea called kahwahis is often served after every meal in the Pashtun belt of Balochistan and in Pakhthunkawa, which is where the Khyber Pass of the Silk Road is found. In the Kashmir region, Kashmiri chai or noon chai, a pink, milky tea with pistachios and cardamom, is consumed primarily at special occasions, weddings, and during the winter months when it is sold in many kiosks. In Central and Southern Punjab along with metropolitan Sindh, tea with milk and sugar (sometimes with cardamoms, etc. ), commonly referred to as chai, is widely consumed. It is the most common beverage of working class and households. In the northern Pakistani regions of Chitral, a salty, buttered Tibetan-style tea is consumed. In Iranian culture, tea is so widely consumed, it is generally the first thing offered to a household guest. In the United States and Canada, 80% of tea is consumed cold, as iced tea. Sweet tea is a cultural symbol of the southern US, and is common in that portion of the country. Switzerland has its own unique blend of iced tea, made with the basic ingredients like black tea, sugar, lemon juice and mint, but a variety of Alp herbs are also added to the concoction. 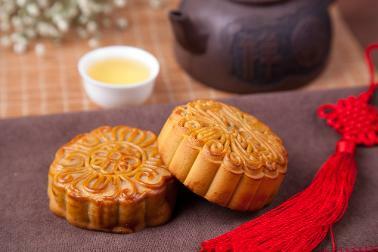 Apart from classic flavors like lemon and peach, exotic flavors like jasmine and lemongrass are also very popular. In India, tea is one of the most popular hot beverages. It is consumed daily in almost all homes, offered to guests, consumed in high amounts in domestic and official surroundings, and is made with the addition of milk with or without spices. It is also served with biscuits dipped in the tea and eaten before consuming the tea. More often than not, it is drunk in “doses” of small cups (referred to as “Cutting” chai if sold at street tea vendors) rather than one large cup. In the United Kingdom, it is consumed daily and often by a majority of people across the country, and indeed is perceived as one of Britain’s cultural beverages. In British homes, it is customary good manners for a host to offer tea to guests soon after their arrival. Tea is generally consumed at home; outside the home in cafés. Afternoon tea with cakes on fine porcelain is a cultural stereotype, sometimes available in quaint tea-houses. In southwest England, many cafes serve a ‘cream tea’, consisting of scones, clotted cream, and jam alongside a pot of tea. Throughout the UK, ‘tea’ may also refer to the evening meal. In Burma (Myanmar), tea is consumed not only as hot drinks, but also as sweet tea and green tea known locally as laphet-yay and laphet-yay-gyan, respectively. Pickled tea leaves, known locally as laphet , are also a national delicacy. Pickled tea is usually eaten with roasted sesame seeds, crispy fried beans, roasted peanuts and fried garlic chips. Morocco is famous for its mint tea. Moroccan tea is also jokingly referred to as “whiskey” since it is consumed in small, decorated glasses resembling shot glasses. Tea is part of everyday life in Morocco and the country is well known for its tea and hospitality. Moroccan mint tea is essentially a green gunpowder tea, served highly sweetened with fresh spearmint.